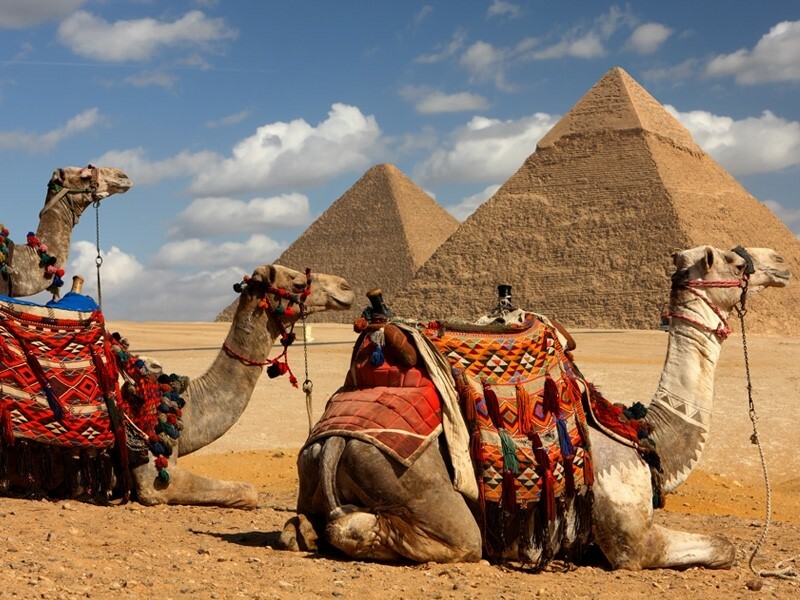 We will pick you up from your hotel for a day trip to Giza pyramids, the Sphinx, the Egyptian museum then end your trip by a visit to Khan EL Khalili famous bazaar, then we drive you back to your hotel. 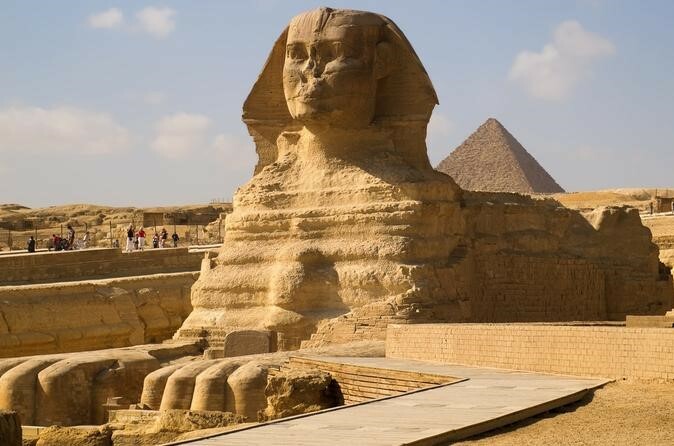 It is the largest statue in the world, standing 73 m. long, 19 m. wide, and 20 m height. 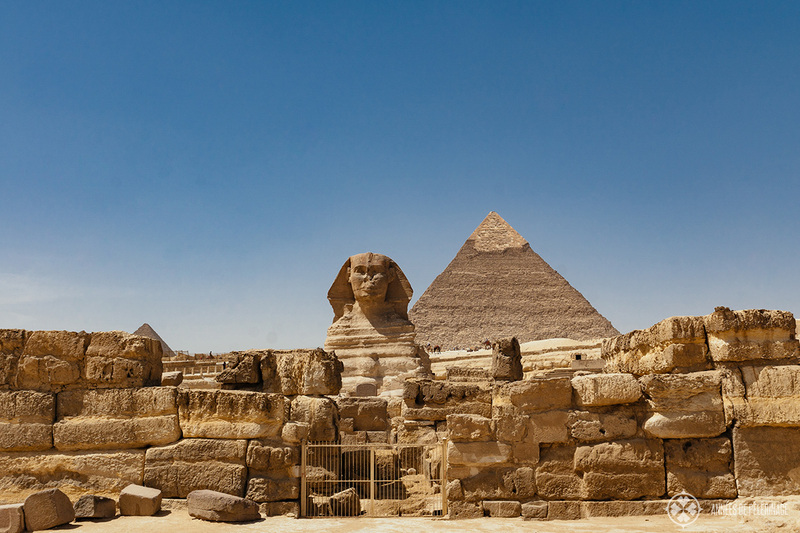 It is the oldest known monumental sculpture. Lunch will be served at Pyramids/ Nile view restaurant. 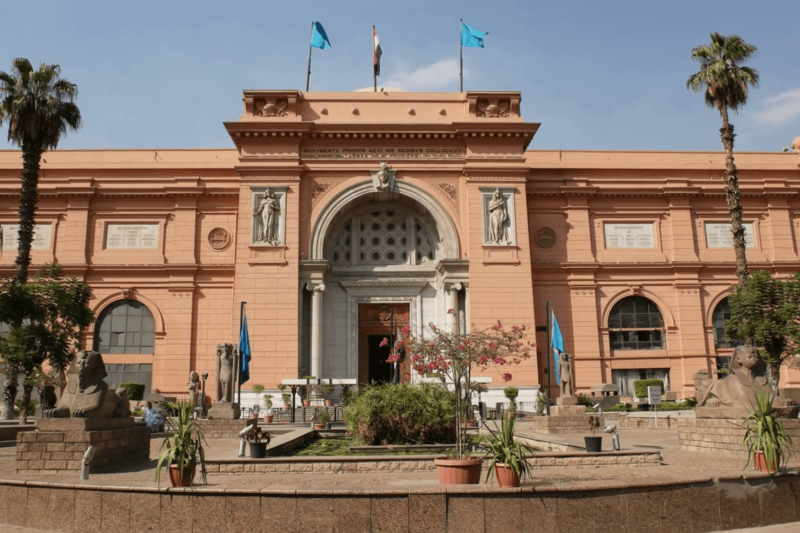 Then move to visit the Egyptian Museum. The museum displays a rare collection of 5000 years of art. 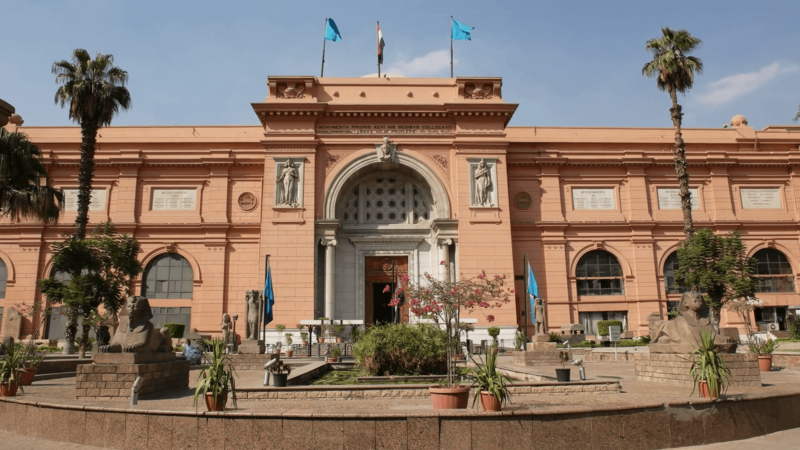 Over 250,000 genuine artifacts are presented, including an exhibit dedicated to Tutankhamen collection of treasure, gold and jewellery which was enclosed in his tomb for over 3,500 years. 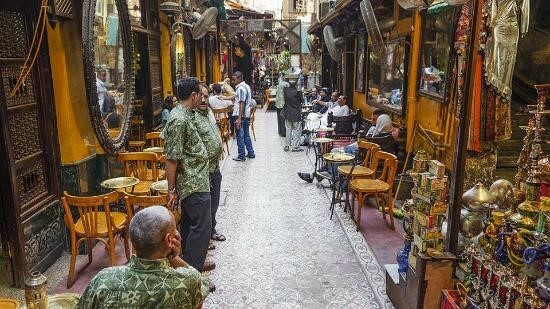 End your tour by a shopping stop at Khan El Khalili Bazaar, no visit to Cairo is complete without a stop to Khan EL Khalili bazaar; one of the most famous and oldest bazaars in the Middle East. Finally we drive you back to your hotel.